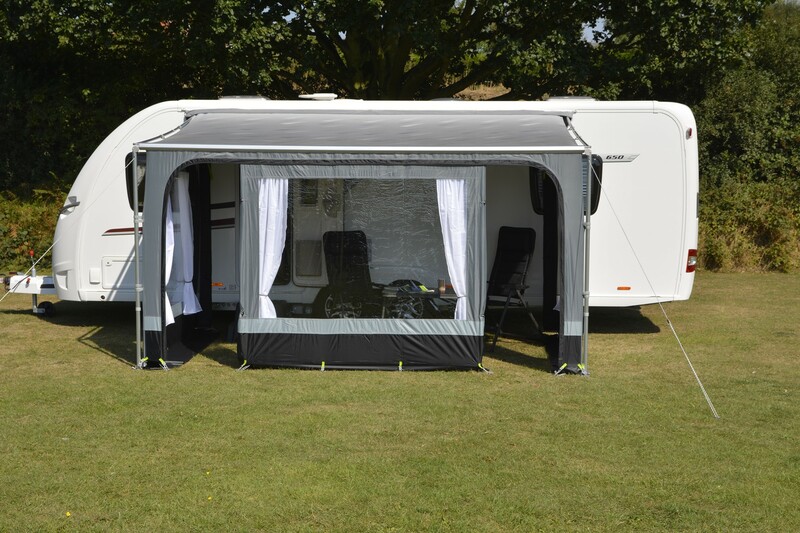 The Privacy Room is a great addition to your Kampa Revo Zip 240 roll out awning, transforming it from just a sunshade to an enclosed, private space by simply attaching three walls for you and your family to enjoy. 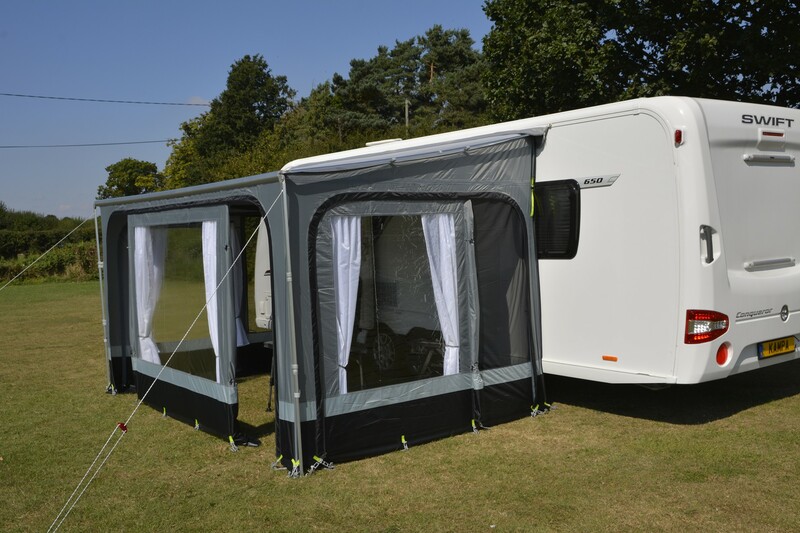 The side walls simply zip to the Revo Zip roof and the front wall slides into the channel on the Revo front rail and zips to the side walls. 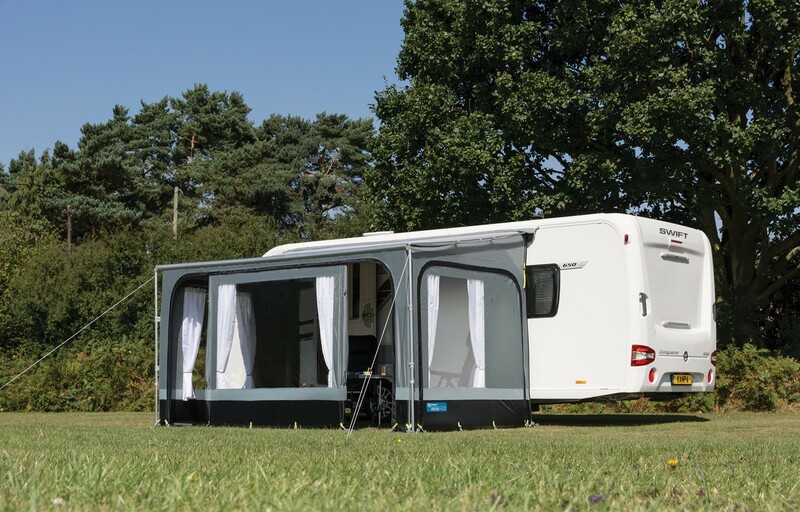 The Privacy Room 240 walls can be attached to the caravan or motor home side using the optional Limpet Fix System or rear upright poles. 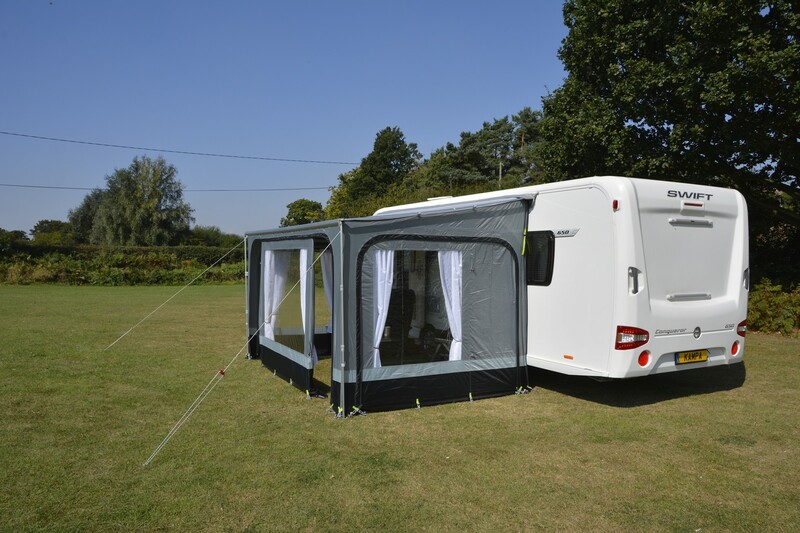 The height of the side walls can also be varied to suit any different rail heights between 240cm to 270cm. 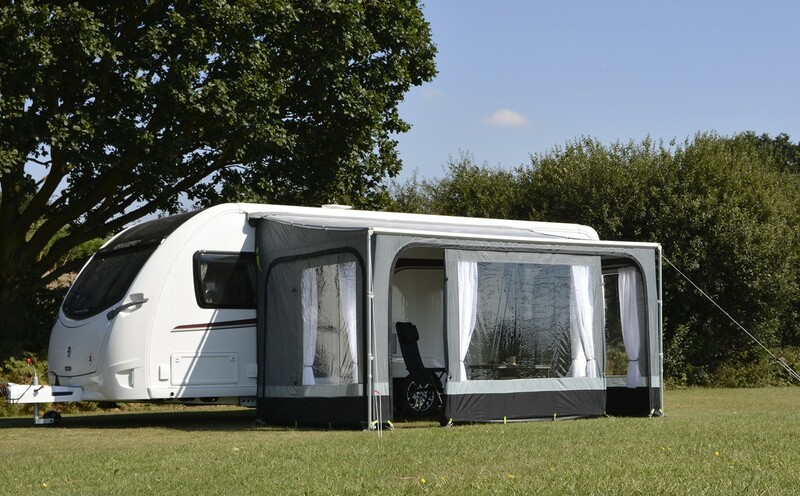 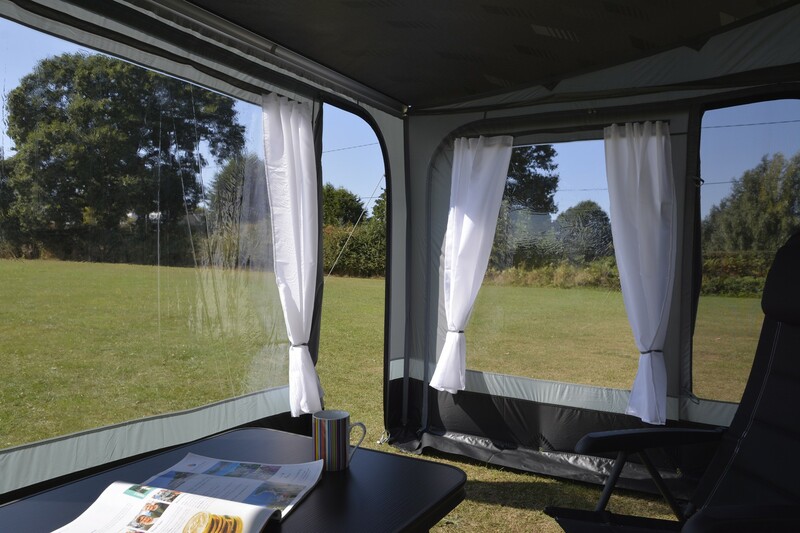 The Kampa Privacy Room 240 comes complete with curtains on an easy-slide track and each of the panels can be zipped out completely. 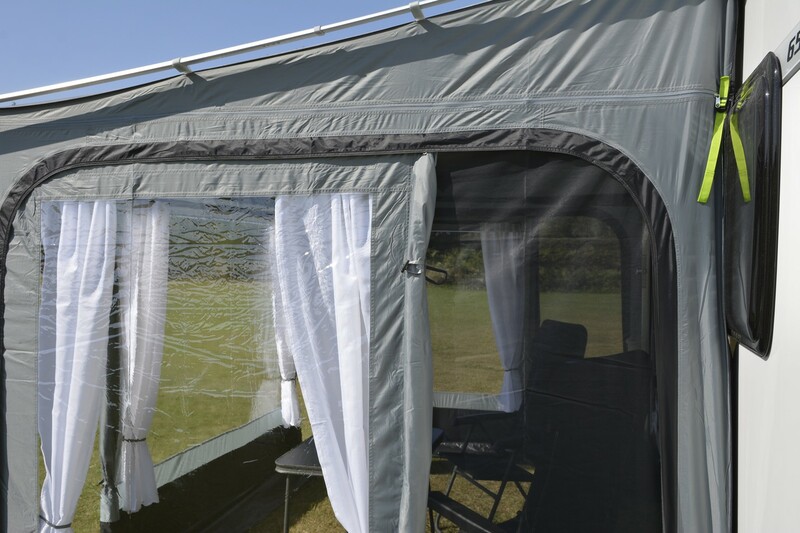 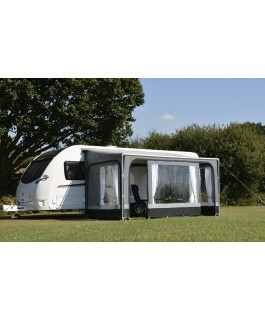 Both of the side panels features mesh panels, helping to keep the awning cooler in the summer months.